Are you having family over for this year Thanksgiving? It’s always so nice to see people and spend time together, especially when there’s a feast to be eaten and football to be watched. You know what isn’t so nice, though? Having to clean up after everyone once they finally clear out. 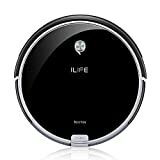 Of course, the task would be much easier if you had a robot vacuum to handle the dirty work for you. 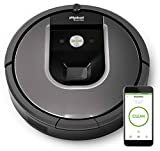 Prepare for your next get-together by taking advantage of one of today’s killer Black Friday sales on robot vacuum cleaners. 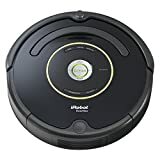 We’ve got a number of Roomba models on sale today like the iRobot Roomba 650 Robot Vacuum for just $270, and Amazon’s deal of the day gets you an ILIFE A4s Robot Vacuum Cleaner, which has a 4.4-star rating from more than 1,000 reviews, for just $135. 3-step cleaning system with a strong suction provides thorough and concentrated cleaning. Automatically starts on its scheduling program and returns to docking station to recharge when battery runs low. Multiple smart sensors avoid bumping around or falling off stairs. The A4s even cleans under beds, along the walls and around the clutter..Dirt can not hide. Superior battery-group brings up to 140mins cleaning time and prolonged life time. Advanced BLDC motor with extremely quiet delivery compared to other vacuums.